“No problem; it didn’t get on my dress,” Elizabeth replied. She grabbed a napkin from the bar and dabbed the splashes of sangria off her forearm, the result of a collision with a wildly gesticulating woman who had evidently been drinking for some time. Elizabeth continued to inch her way through the throng, finally reaching the far end of the bar where Charlotte and Jane awaited her. “Sorry I’m late,” she shouted, to be heard above the crowd. She had arrived home from her date to find a note from Jane suggesting that they meet at the restaurant. Jane hated to be late and hadn’t wanted to keep Charlotte waiting, but considering the suggestive looks Charlotte was exchanging with the bartender, she could probably have amused herself for as long as necessary. “You’ve got some catching up to do.” Charlotte poured a glass of sangria and pressed it into Elizabeth’s hand. Waiting for a table was part of the experience at Cha Cha Cha, a popular Caribbean-themed bistro in Haight-Ashbury. Patrons crammed the bar, waiting an hour or more for a table while downing pitchers of sangria and bemoaning the restaurant’s no-reservations policy. It was one of Charlotte’s favorite eateries in the city and was within walking distance of Jane and Elizabeth’s building, though the walk home rivaled the climb up Telegraph Hill. Elizabeth ordinarily enjoyed Cha Cha Cha’s party atmosphere, but tonight she wished they had chosen someplace quieter. Her day with William had given her a great deal to think about, and introspection was impossible in the midst of the raucous crowd. Further, she had begun to regret refusing William’s dinner invitation. A quiet corner table bathed in candlelight, a good bottle of wine, and William … and I said no to that? But dinner with Jane and Charlotte would be plenty of fun too, and William was having dinner with Charles. “How is Roger?” she asked. She had intended to call him before leaving for the restaurant, but there hadn’t been enough time. Knowing that the wait for a table would be a long one, Elizabeth had taken the extra time to wash her hair before leaving for the restaurant. Her hair now fell in a cascade of curls around her shoulders. She wasn’t sure what impulse had motivated her to put extra effort into her appearance tonight, but she had been pleased with the results. “I’m so glad.” Jane’s soft voice was barely audible above the din. Elizabeth directed an inquiring glance in Jane’s direction. “I was still awake, and I heard you come in,” Jane explained. “And since it doesn’t take that long to drive back from Marin County, I’m guessing there could be an interesting story here. What, or should I say who, were you doing that late at night?” Charlotte asked, her eyes gleaming. Elizabeth intended to mention neither the romantic interlude on the Marin Headlands nor the conversation about their physical relationship. She wanted Jane’s advice on the subject, but she already knew what Charlotte would say. Besides, this wasn’t the best atmosphere for a serious conversation. “You should see his new car. If you thought the Z3 was hot …” Elizabeth said, deftly tossing out the conversational equivalent of a raw steak to a hungry jungle cat. The jungle cat in question was leaning against the bar with offhand grace, clad in an off-the-shoulder black top, slender black trousers, a fabulous pair of hammered gold earrings, and a matching necklace. Elizabeth had always envied Charlotte’s effortless style and her lithe five-foot eleven-inch frame, which could carry off any clothing ever made. “Doesn’t that bother you?” Jane asked. “Cut it out, Char,” Elizabeth said in a sharp tone. “He’s not mine.” But Elizabeth felt a tiny thrill go through her. “I don’t know. I wish I could figure it out.” Elizabeth brushed her hair away from her face. “In sangria veritas,” Charlotte declared. She and Elizabeth clinked glasses. “Not to change the subject, but I was wondering if William … no, never mind.” Jane smoothed her white tank dress self-consciously and sighed. “Did William mention Charles? Is that what you were going to ask?” Elizabeth said, noting the sadness in Jane’s eyes. While the “hot chicks” were toasting themselves at Cha Cha Cha, Charles and William were digging into newly-arrived plates of food at the Big Four Restaurant in the Huntington Hotel, just a block from William’s penthouse. Despite his late lunch with Elizabeth, William’s stomach had been growling since entering the restaurant, and he eagerly sampled the rack of lamb, savoring its delicate flavor. 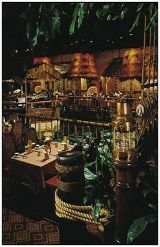 The restaurant was decorated in dark wood paneling, lead-glass mirrors, and forest green upholstery. It looked like an exclusive men’s club, the sort of place fortunes were made—and lost—over brandy and cigars. William grunted, taking another bite of the lamb. The two men fell into an awkward silence, not for the first time that evening. Charles was not his usual happy-go-lucky self, offering only perfunctory answers to William’s questions about life in Los Angeles. And any situation that requires me to be the chatty one is a ready-made disaster. Besides, William couldn’t seem to focus on Charles and their dinner; instead, his mind continually summoned up reminders of his afternoon with Elizabeth, as though he were flipping through an album of sensory memories. He felt the pressure of her lips against his. A turn of the page, and he saw her green eyes sparkling with laughter when she teased him, and clouded with passion when she had lain beneath him on the blanket. Even the images of his problems on Telegraph Hill were softened by the echo of her sweet voice, gentle and full of compassion. And she kissed me! William couldn’t help smiling as he congratulated himself for his wisdom and self-control. He had kept himself under stern regulation, resolving to follow her lead. In the heat of their embrace, his hands and lips had itched to wander, but he had allowed himself only a brief exploration of her neck before he had reluctantly released her. Of course, how long I’ll be able to keep myself under control is another question entirely. Had they been alone in his living room instead of in the more public setting in the park, he was less certain of his success. “I had a good day,” William said, spearing a forkful of vegetables. “I said we were friends, and we are,” William said, instantly regretting his decision to open up. “But not just friends, I take it. Did you two have something going on in New York? I never told you this, but when Caroline came back from her trip out there in June, she swore up and down that you and Elizabeth were sleeping together.” Charles raised his eyebrows and drained his wine glass. William shrugged. “It’s not your fault.” He briefly considered telling Charles about the nasty scene with Caroline after the party, and about her deceitful behavior in New York, but it seemed both pointless and unkind. Charles had no control over his sister’s behavior. William grinned but didn’t comment. “Then you’re not seeing anybody? I mean, besides Elena?” William had hoped that by now Charles would have begun to move on from Jane. “Yeah.” Charles propped one elbow on the table and rested his chin on his fist, sighing loudly. “She looked lovely,” William said politely. He had barely noticed Jane; in his eyes, Elizabeth had outshone every other woman. Neither seemed to know what to say after that, and they turned their attention to their respective dinners. Finally, Charles broke the silence. William gave Charles a sketchy update, omitting any mention of his problems that morning. William’s mouth was full, so he couldn’t reply, but he suspected that his agreement was written clearly on his face. Charles had hit on the perfect prescription. “Okay, who wants the last shrimp?” Charlotte asked, licking her lips. 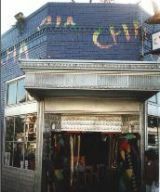 Elizabeth, Jane, and Charlotte were seated in Cha Cha Cha’s dining room. They had ordered a variety of tapas to share, and dishes had been arriving at their table at regular intervals. 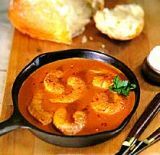 They were currently finishing one of the restaurant’s most popular choices, Cajun shrimp. It was served with bread to allow diners to sop up the remains of the flavorful sauce. “But I know you’d like half of it.” Jane smiled at Charlotte as she cut the shrimp into two pieces. While Jane and Charlotte savored the last shrimp, Elizabeth shared the tale of Bill Collins in bloodhound mode, huffing across the lawn at Rosings in pursuit of William. She finished the story with a spot-on imitation of Bill that caused Charlotte to choke on her sangria, and Jane to giggle in spite of herself. “Jane said Cruella was at the party last night.” This was Charlotte’s nickname for Caroline Bingley. Elizabeth put her hand on Jane’s arm. “You won’t be singing her praises after you hear what she did.” She described her unpleasant encounter with Caroline, and then went on to explain the incident involving the orchid. “Well, she claims William misunderstood, and that the note must have fallen on the floor, but let’s be serious.” Elizabeth rolled her eyes. “And there’s no chance this is all a misunderstanding?” Jane asked, frowning. “Like a new chapter in Gulliver’s Travels: The Land of Suddenly Large-Breasted Women.” Jane said with a giggle. “I’m so happy for you, Lizzy,” Jane said. “But you left out the important part. When he kisses you, does he get you all hot and bothered?” Charlotte asked, raising her eyebrows. “You have a one-track mind,” Elizabeth retorted. Charles and William had finished dinner and were strolling down California Street towards Charles’s hotel. William had tried to beg off after dinner and return home; his largely sleepless night, combined with his busy day and some lingering jet lag, had begun to catch up with him in spite of his nap in the park. But Charles had looked so disappointed at this abrupt end to the evening that William had relented, agreeing on a quick after-dinner drink. The bar Charles had in mind was in the Fairmont hotel, a San Francisco bastion of somewhat stodgy elegance. William was relieved; any bar at the Fairmont would be exclusive, comfortable and, above all, peaceful. Sipping brandy while ensconced in an overstuffed leather armchair, perhaps with jazz music in the background, would be a pleasant way to wind down before heading home to bed. 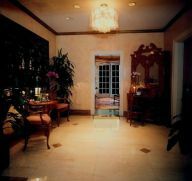 They passed through the hotel entrance and Charles led the way to the elevators, stepping into one whose doors stood open. He pressed the “T” button. William’s mind flashed to Elizabeth lying in his arms on the blanket in Golden Gate Park that afternoon. “I beg to differ,” he said, casting a haughty glance at Charles, who responded with a chuckle. As he and Charles proceeded through the bar, William stared in scornful incredulity at the decor. Fish nets adorned the walls, accented by artificial flowers and fish. Fake palm trees, tiki torches, hurricane lanterns, and wooden statues abounded. The wooden plank floor in the center of the room was reminiscent of an old ship, and the decorator apparently suffered from a misguided fondness for wicker furniture, a style that suited the theme but that William despised. They seated themselves at a table for two next to a railing. After William finished inspecting the thatched roof above him, a deep frown creasing his forehead, he looked past the railing and noticed the worst part of all. Not content to hint at a nautical theme, the establishment had placed its band on a raft that floated in the center of a lagoon. “I’m sure they do. But in this atmosphere, you’d order a brandy? You can’t be serious.” Charles signaled the approaching cocktail waitress. “Two mai tais, please.” The waitress vanished before William could correct the order. William was about to answer when the room was filled with the recorded rumble of thunder. As William’s frown grew deeper and more bewildered, sheets of simulated rain fell from the ceiling into the pool. Two couples dancing near the lagoon were apparently sprayed by the downpour: they jumped away, laughing uproariously. “Oh?” William wasn’t impressed by Charles’s mother, a wraith of a woman who trailed in her husband’s shadow. William wasn’t sure what to say, so he picked up his mai tai, frowning at the fanciful glass. Drinking from the fluorescent green straw was an indignity he had no intention of suffering, so he pushed it aside and tipped back the glass, only to be smacked in the nose by a slice of the pineapple garnish. He dropped the offending fruit into the glass and tried again, this time conceding defeat and using the straw. To his surprise, the drink wasn’t too bad. It tasted like a tangy fruit punch. William was appropriately chastened. “Okay. I didn’t mean to … rain on your parade.” he quipped, smirking, as the ersatz rainstorm ended. “I seriously doubt that.” But William smiled in spite of himself. Charles’s prediction didn’t materialize, but once William jettisoned his disapproving attitude he discovered that the Tonga Room wasn’t without some potential for entertainment. He still found the entire concept perplexing, unsure why as elegant an establishment as the Fairmont had built a monument to questionable taste in its basement. But by the arrival of the third simulated rainstorm, he had found himself greeting the periodic downpours with a surprising degree of enjoyment. It was entirely possible that the mai tais were a factor in the improvement of his mood. He hadn’t kept up with Charles, who had consumed a remarkable number of drinks between his frequent trips to the dance floor. But the empty glass from William’s third mai tai sat on the table beside him, and he was seriously considering eating the alcohol-soaked fruit, reasoning that it was a wiser choice than ordering a fourth oversized mug. I wonder what Lizzy would say about this place. A blissful smile creased his cheeks and his eyes drifted shut as he imagined her standing on the raft in the center of the lagoon, singing love songs to him. He imagined her wearing a silky sarong draped over her body, leaving one shoulder bare. Her hair swirled around her, trailing down her back. He saw himself striding across the surface of the lagoon, having apparently developed the ability to walk on water. He bundled her into his arms and carried her to terra firma, laying her on a bed of plastic palm fronds that appeared as if by magic. In another episode of timely sorcery, the bar’s other patrons vanished, leaving the two of them alone. He knelt beside her, drinking in the loving expression in her eyes, his hands caressing her satiny skin. Just as he untied the knot at her shoulder holding the sarong in place, he heard a voice. He opened his eyes to find an attractive red-haired woman in a simple black dress standing beside him. He looked up at her with a quizzical expression. She wore an expectant smile, but he was uncertain what to say in response, so he simply looked back at her and waited, a polite but detached smile on his face. “That’s kind of you, but … I’m seeing someone.” He was surprised how good it felt to say that. As she walked away, William returned to his chair and looked back toward the dance floor, where Charles and his latest partner gyrated to the boisterous music. After a few minutes, the raft docked at the edge of the lagoon, allowing the band to take a break. Charles returned to the table and dropped into his chair, wearing a broad grin. “I was asked to dance just a short time ago,” William said with a superior air. “You know me better than that. Dancing isn’t my idea of fun.” Unless it’s a slow dance. With Lizzy. “I’m glad, but I wonder how you’ll be feeling in the morning.” Charles wasn’t drunk to the point of incoherence, but he had consumed enough liquor that he was likely to have some regrets tomorrow. “I’m sorry you’re having so much trouble getting over Jane. Have you—” William stopped himself. Obviously the mai tais had impaired his judgment. He had been about to suggest that Charles contact Jane and attempt to resume their relationship. But there’s still the whole issue of her mother, and the pre-nup, and the money. Nothing has really changed. It occurred to William that his early rejection at Elizabeth’s hands, as painful as it had been, supplied convincing proof that her present interest in him was unrelated to his bank balance. He was fortunate that she had escaped the worst of her mother’s influence while growing up, perhaps because she had attended both high school and college so far from home. Charles, while waiting for William to finish his sentence, had picked up a small pink umbrella from the table and was holding its toothpick-sized handle, twirling it absently. Thunder rumbled in the background, signaling the arrival of another tropical storm, and William had had enough. He caught the waitress’s eye and requested their check. A few minutes later, after saying their goodbyes in the lobby, Charles proceeded upstairs to his room and William exited the hotel. He walked the short distance to his building, welcoming the bracing effect of the cool, damp night air. Mrs. Reynolds had left on a few lights, forming a path to his room; he switched them off as he made his way down the hall. Once he reached his bedroom, he checked the clock beside his bed. It was almost 11:15. It’s late, but I guess I could still call Lizzy; after all, she was going out tonight too. He pulled a slip of paper out of his wallet, grateful that he had swallowed his pride before leaving New York and had asked Sonya to chase down Elizabeth’s home phone number. To his surprise, Sonya had simply handed him the number the following day, bypassing the opportunity to offer jests or ask penetrating questions. There might even have been sympathy in her eyes, though with Sonya it was often hard to tell. William dialed the number, and after two rings the answering machine picked up. He left his message and hung up with a heavy sigh. He’d been an idiot earlier that day not to ask for her cell phone number. Then I could call her now, wherever she is. Despite his busy day, William was wide awake. He decided to sit up in bed for a while and read his new San Francisco history book. Maybe Elizabeth would get his message soon and call him back. That would be the perfect end to his day. It was just past midnight when Jane and Elizabeth got home. They had invited Charlotte to spend the night on their couch rather than risking the drive back to Berkeley after a full night of revelry and sangria, but she had headed for Roger’s apartment in a cab. Elizabeth had enjoyed the evening, but she was glad to be home. She was feeling the combined effect of sleep deprivation, a busy day in the fresh air and sunshine, and a little too much to drink. She went straight to her bedroom, changed into her nightshirt, and then wandered into the kitchen, yawning. Jane was there, filling the teakettle with water. “I know. I’ve missed you so much.” The sisters hugged, and Elizabeth felt sudden tears stinging her eyes. As Elizabeth turned to go, she saw the answering machine on the counter, its message indicator patiently blinking. She pressed the “Play” button, and her eyes sparkled at the sound of William’s voice. “Hello, Lizzy? Are you there? It’s William … Darcy … I guess you’re not home. I called to thank you for … for today. I’ll be up until at least midnight, and probably later, so if you get this before it’s too late, call me.” He ended by dictating his cell phone number. She jotted it down quickly on a scrap of paper near the phone, though she could have retrieved it from the address book in her bedroom as well. “I shouldn’t keep you, though. You ought to be in bed. It’s late, and you need your rest.” I bet I sound just like Mrs. Reynolds! “Did you have fun tonight?” he asked, when she didn’t respond to his remark. “I do. I really do. But …” Elizabeth’s smile faded and she leaned over the counter, her elbows resting on the Formica surface. Elizabeth fiddled with the tea bag tag hanging over the edge of the mug for a moment. “Now that you mention it, I think I do want to talk.” The sisters moved into the living room and sat together on the couch. Jane was the best listener Elizabeth knew. She was especially good at letting people explain things their own way, at their own pace. She proved it in this situation by not peppering Elizabeth with questions the moment they sat down. Instead, she allowed Elizabeth to silently collect her thoughts while watching her with sympathetic interest. Jane nodded, sipping her tea. “I’m not ready to love him, or anyone else,” Elizabeth insisted, twisting a lock of hair around her finger. “It was during our picnic. William was stretched out on the blanket, and he fell asleep. I was watching him, and he looked so … beautiful I could barely take my eyes off him. And when he woke up, I bent over and kissed him.” Elizabeth paused, frowning, wondering how to explain the rest. “And I’m guessing you ended up stretched out on the blanket beside him?” Jane’s eyes held a faint twinkle. Elizabeth nodded. “We’d set up our blanket in a secluded spot, and I suppose it was inevitable that we’d …. Well, anyway, he leaned over me at one point and it felt like he was pinning me down, and it reminded me of …” Elizabeth shuddered and wrapped her arms around herself. “I’m here, Lizzy. It’s okay.” Jane placed a comforting arm around Elizabeth’s shoulders. “You know what I mean.” Jane fixed her gentle version of a stern-older-sister glare on Elizabeth. “The problem is, there’s another big similarity, and I think this is the one that worries me the most. Michael was a legend in his own time in the Musical Theater department. I was just a year behind him, so I saw him in all his starring roles in musicals. He got the first one his sophomore year, which was almost unheard of. The faculty supposedly considered him the best actor they’d trained in over a decade. And his singing voice … oh, if you could have heard it. Warm and mellow and …” Elizabeth sighed, shaking her head. “A voice like that can be seductive,” Jane said quietly. “He’s not staying till the end of the semester?” Jane’s eyes widened. They carried their mugs into the kitchen and placed them in the sink. As they left the kitchen for their respective bedrooms, Elizabeth glanced at the answering machine, which still held William’s message, and a tiny smile touched her lips. It’s been quite a day.